Measure: 80 x 42 x 183 cm. 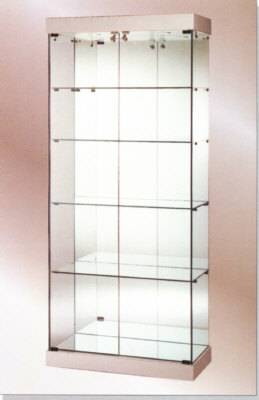 Showcase for exhibition, Showcase in a "whole-glass-construction". mirror back, mirror floor, 4 fixed shelves.